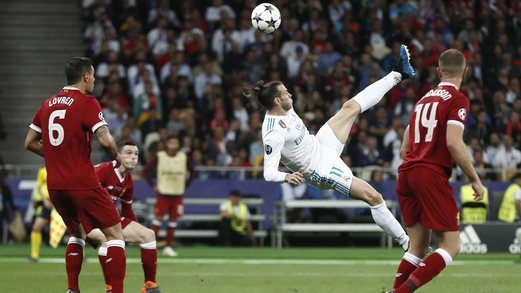 Speculation over the future of Gareth Bale is rife in Monday’s papers, after he hinted he may be willing to leave Real Madrid. Manchester United are said to be ready to make a £200million move for the Welshman. According to the Telegraph, Bayern Munich could be a likely destination, while the Guardian says Manchester City are not interested. Liverpool will reportedly intensify their hunt for a new goalkeeper after Loris Karius‘ Champions League final performance, with Alisson and Jan Oblak said to be among the main targets. According to the Mirror, the Reds have been keeping an eye on Roma number one Alisson for much of the season, although the asking price could become a stumbling block. Oblak could be a better investment, the paper says, after impressing for Atletico Madrid. Cristiano Ronaldo could be eyeing up a return to Manchester United, according to reports. The Daily Express says Spanish media outlet Diario Gol has claimed the 33-year-old is closing in on a deal with the Red Devils, reaching a pre-agreement with Jose Mourinho. Joe Gomez is set to land a new deal with Liverpool and earn a bumper pay rise, according to the Sun. Chelsea have been told to double their offer if they want to land Maurizio Sarri as manager to replace Antonio Conte, the Sun reports.